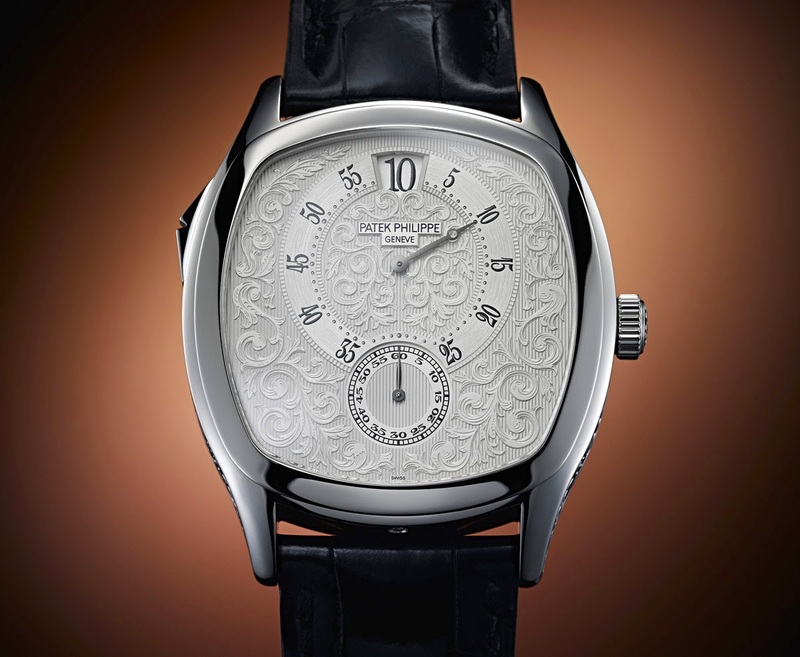 The new Patek Philippe Chiming Jump Hour Ref. 5275, one of the commemorative watches created for the manufacture's 175th anniversary, is a homage to the long-standing tradition of the Geneva brand in the development of chiming timepieces. Presented in a tonneau-shaped platinum case (39.8 x 47.4 mm), the Chiming Jump Hour combines three jumping indications with an acoustic indication at the top of every hour. 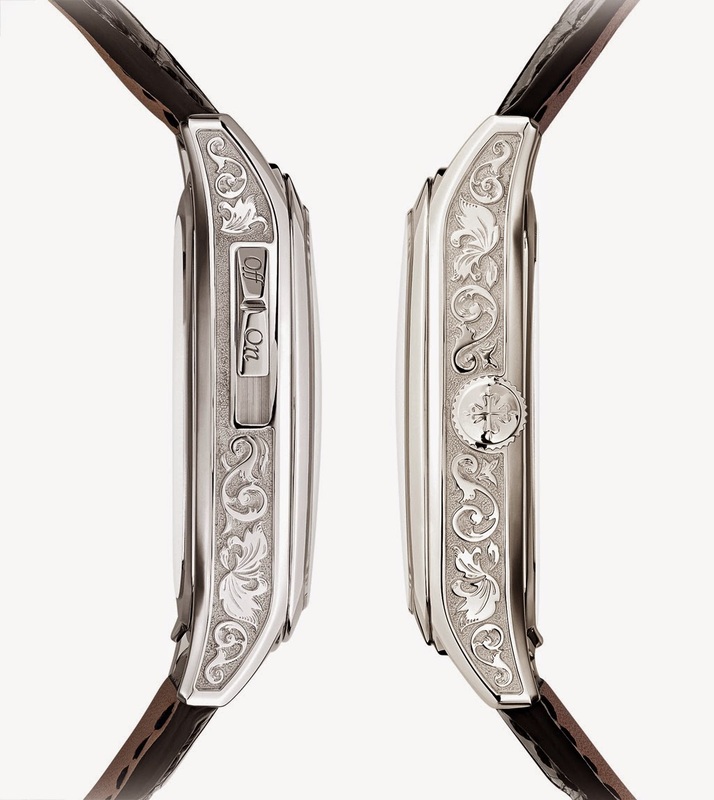 Like the dial, the flanks are decorated with intricate engravings of floral motifs. At 12 o'clock, the silvery opaline gold dial features an aperture for the digital hour indication. The minute hand revolves in the off-centre minute circle graduated with black Arabic numerals as well as black minute index dots. 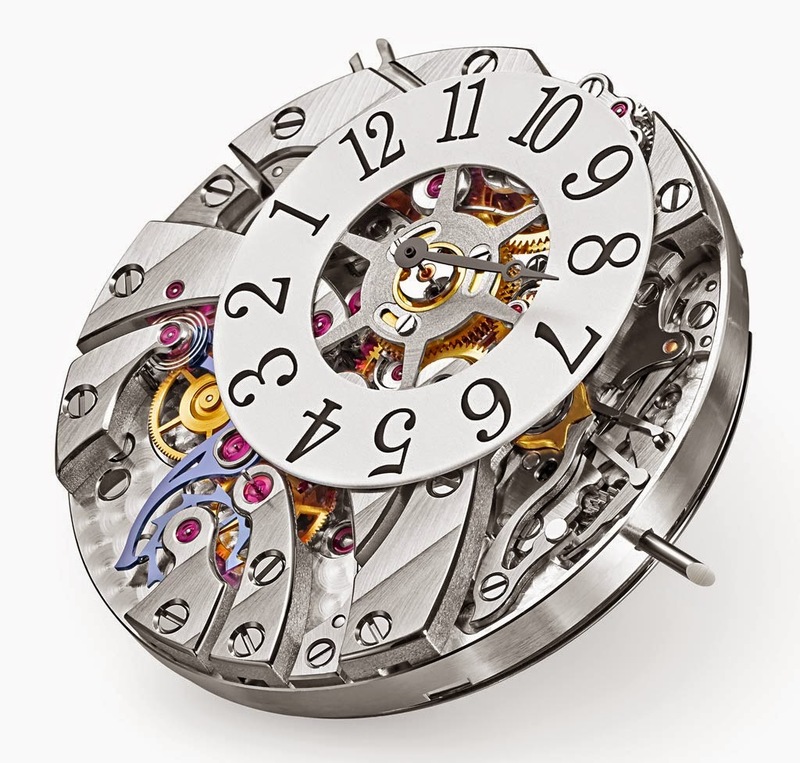 The seconds subdial at 6 o'clock has a black railway track scale, black Arabic numerals, and a black nickel-plated hand. A closer look at the Chiming Jump Hour reveals that the seconds hand jumps from one scale marker to the next in one-second steps rather than with a smooth movement. When the seconds hand reaches the 60, the minute hand also jumps from one minute marker to the next. Finally, once an hour, the digital display in the aperture at 12 o'clock jumps to the new hour precisely at the same moment when the seconds and minute hands advance. A soft tone can be heard at this moment: the Chiming Jump Hour indicates the top of each hour acoustically as well. Developing a watch with three jumping indications plus an hour strike is a remarkable accomplishment in terms of energy management. The 4Hz (28,800 vph) balance performs 8 semi-oscillations per seconds but, differently from most watches where the the second hand move in step with the balance with an apparently continuous movement, in the Chiming Jump Hour the energy is not directly transferred to the seconds hand. Instead, it is accumulated in a storage mechanism that only releases it to the fourth wheel when the eighth semi-oscillation takes place. In the same way, the power stored during a time interval of 60 seconds must be delivered to the minute hand instantaneously, and the same process occurs every 60 minutes at the hour when the digital display needs to be advanced as well. As if it was not enough, the small hammer requires even more energy to strike a gong. 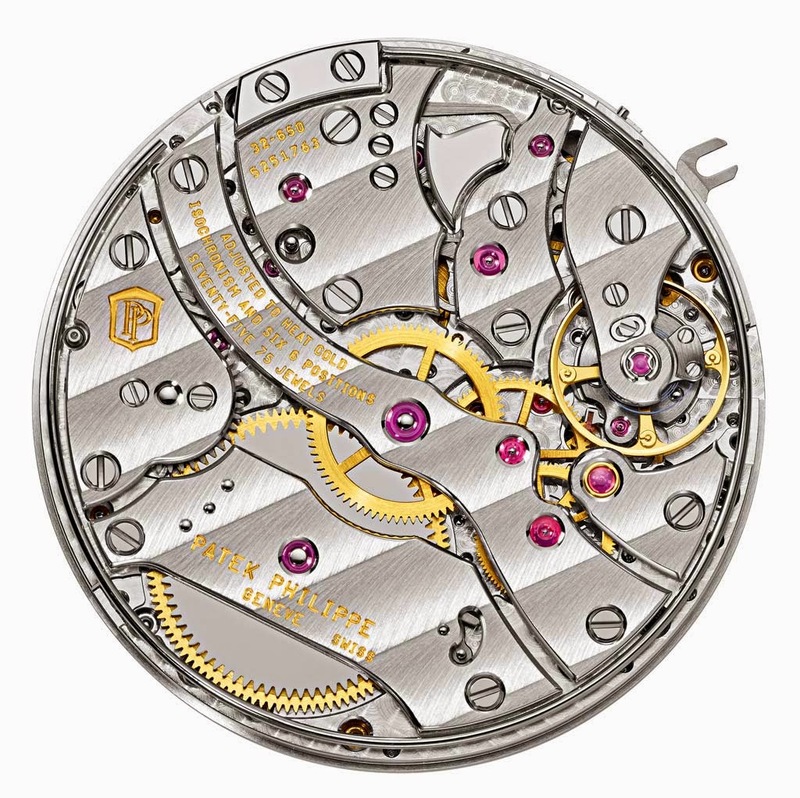 So it should be easy to understand how advanced is the new manually wound calibre 32-650 HGS PS movement for which 4 patents were filed by Patek Philippe. A high-tech Silinvar material was used for the seconds lever and the wolf-tooth wheel because of its low mass and the nearly friction-free, highly energy-efficient contact between the beak and the wolf tooth. The small slide in the case flank at 10 o'clock can be used to enable/disable the automatic hour strike. The watch has a solid platinum case back with the engraving "PATEK PHILIPPE GENEVE 175e Anniversaire 1839 - 2014" and it is worn on a shiny black alligator strap secured with an engraved platinum fold-over clasp. The Chiming Jump Hour Ref. 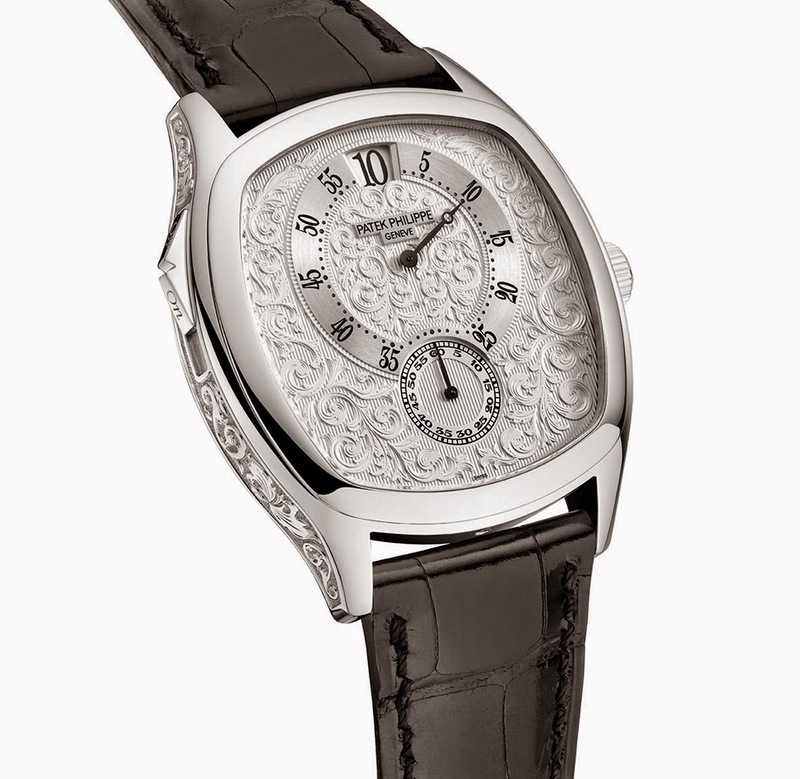 5275 is crafted in a limited anniversary edition of 175 pieces with a retail price of Swiss Francs 310,000. 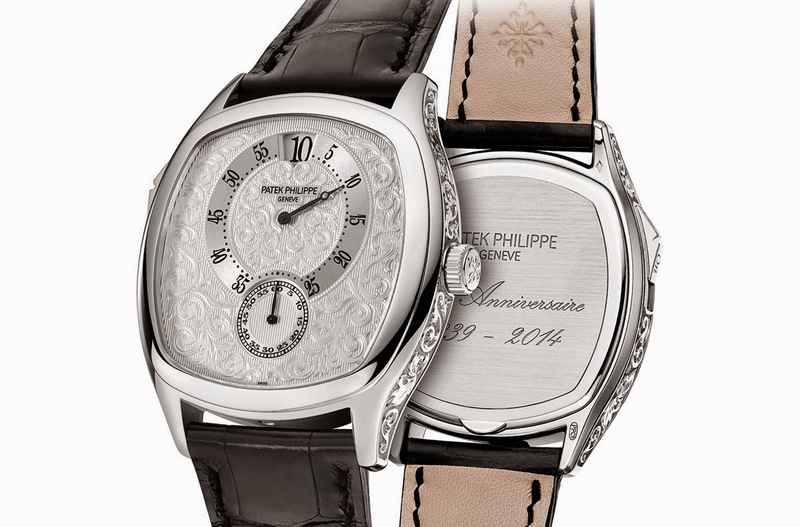 Patek Philippe Chiming Jump Hour Ref. 5275. 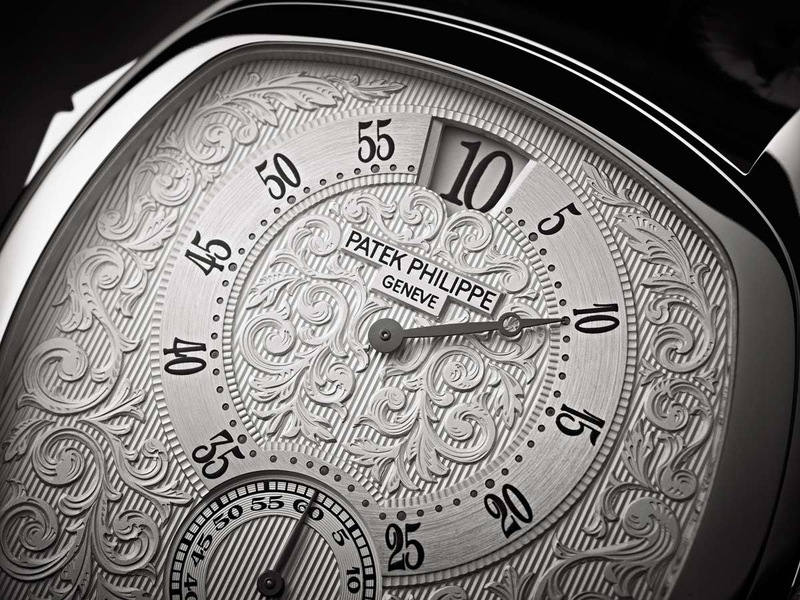 The new Patek Philippe Chiming Jump Hour Ref. 5275, one of the commemorative watches created for the manufacture's 175th anniversary, is a homage to the long-standing tradition of the Geneva brand in the development of chiming timepieces. The Chiming Jump Hour Ref. 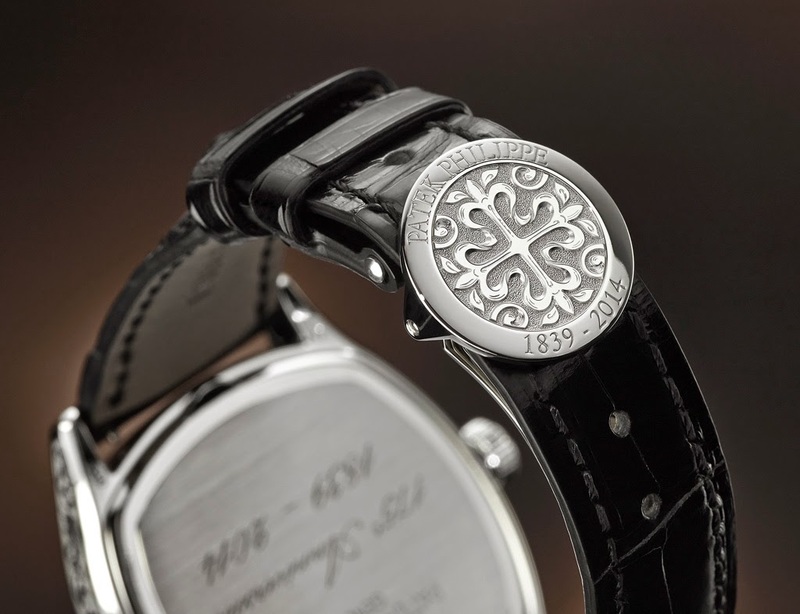 5275 is crafted in a limited anniversary edition of 175 pieces with a retail price of Swiss Francs 310,000.